Are you suffering from such annoyance? Endless dust indoor Housing leakage A leaking window Incoming mosquitos from the cracks in the window Loud noise in the room Ageing doors and windows Now let this silicone frameless weather stripping help you solve all problem, bring you comfortable life. 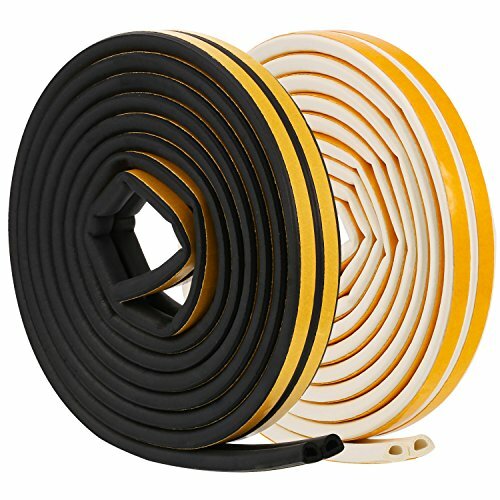 [Tips for Purchasing] 25 mm is suitable for sealing 0-15 mm gap 35 mm is suitable for sealing of 0 to 20 mm gap45 mm is suitable for sealing 0 to 30 mm gap110 mm is suitable for sealing of 0-70 - mm gap [key feature] Windproof, dustproof, weatherproof, energy-saving, soundproof, and anti mosquito Non-toxic and environmentally friendly material, good for family use Excellent flexibility, can be used in extreme weather and won't become broken Strong adhesive backing, waterproof and non-deguming, stick firmly Widely used for frameless sliding doors, glass doors, door bottom, plastic-steel windows and aluminum windows, cupboards, wardrobes, furniture, sliding door, shower room. 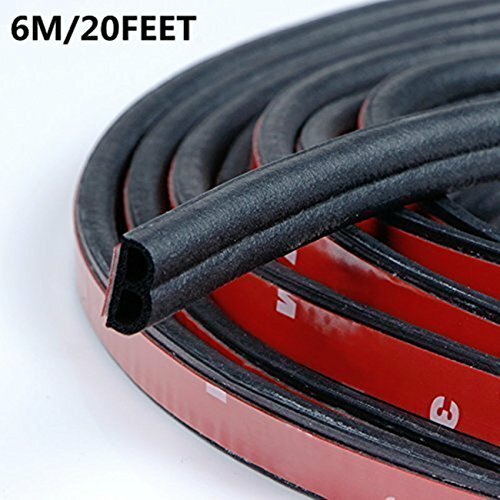 Specifications : Material : Rubber Color : Black Total Length : 16.4 Feet (5 Meter) Size : 14 x 12mm(0.55 x 0.47'') Package includes : 1 x D-type Car Door Seal Strip Installation Method : 1. Clean the edge of the car door with neutral detergent and wait until dry; 2. Pull off the sticker red protective backing of the seal; 3. The end of the seal affixed to the car door ripped determine the location of the door frame; 4. Follow the installation of the linear synchronous torn protective film, hard press to ensure the it can be installed firmly; 5. 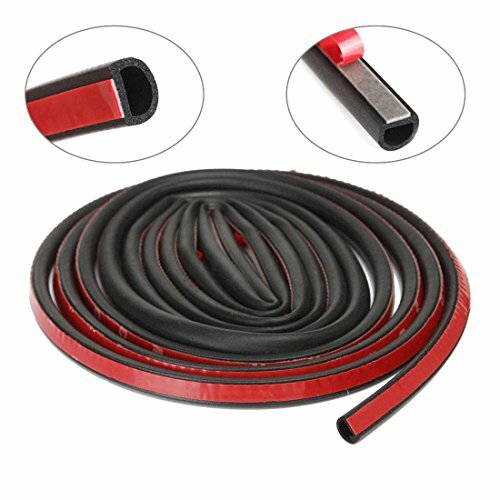 Do not pull the car door seal after finishing sticking, do not wash the car within 3 days, try not to open/close the door within 24 hours; 6. Please pay more attention to in the first 1-2 days,make sure the door is closed, safety first. Features: 100% Brand new and high quality. 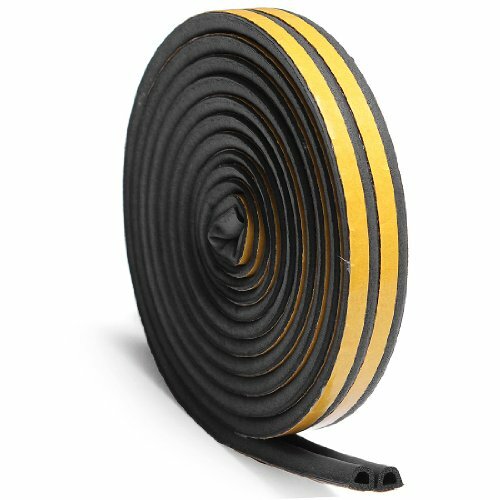 Waterproof, Wind proof, Excellent aging resistance. 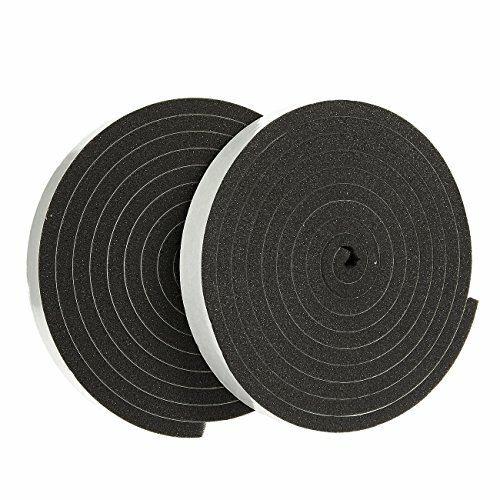 Preventing dust collection between sliding doors or windows. Resist rain and cold wind, give you a clean and warmer environment. Reduce the noise from outside and the sliding door slamming, give you a quiet and comfortable living environment. 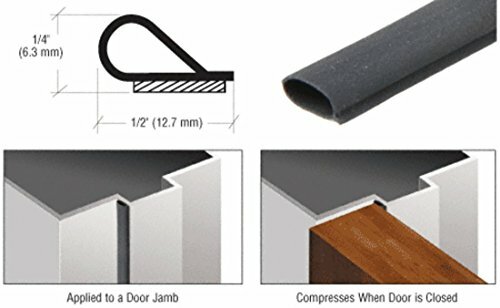 Protect the window and door, reduce wear on window/door while open and close. 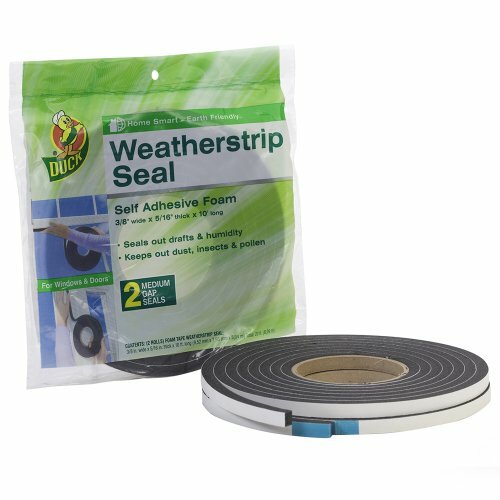 Easy to cut and easy to install, no requires specialist tool. Quick, easy fitting self adhesive backing. 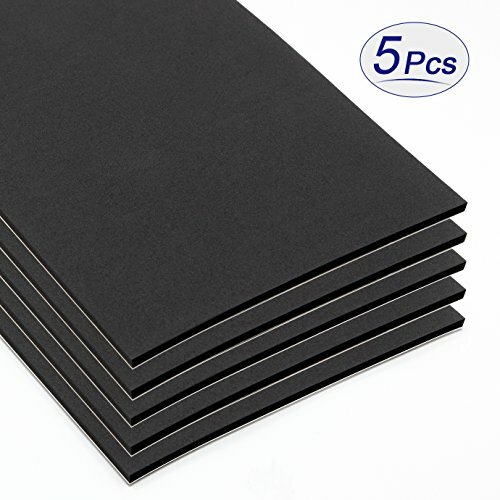 EPDM rubber - premium closed cell rubber foam / lasts up to 8 years Perfect for doors and window frames. 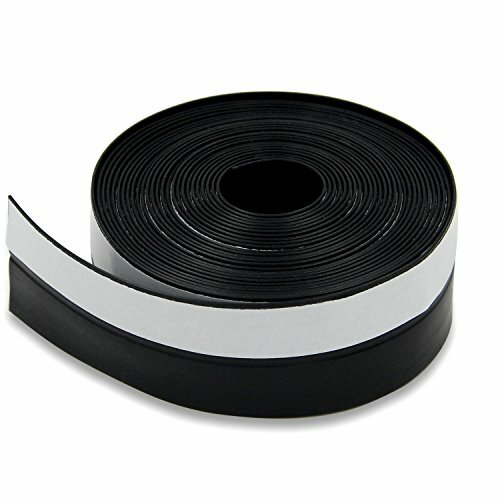 Specifications: Material: EPDM Foam Rubber Shape: D type foam seal strip Length: 5 Meters(16.4 feet) Color: Black, Brown, White Size(approx): 9 x 6mm Suitable gap: 4-5mm Package Included: 1 x 5M D type Foam Seal Strip Note: All strips are dual rolls, 2.5m for one strip. Two merged into 5 m. Please tear when use it.